When it comes to sub-genera’s in Horror movies, there’s plenty to choose from. There’s the haunted house franchise, the zombie franchise, the slasher movies and psychological thrillers. But the cheapest, most clichéd and non-scary sub-genera in horror movie cinema by far is the animal on the attack franchise. You would think that a series of Horror films based on real predators that have been known to attack and kill humans would be very terrifying but for the most part, their just cheap, fun enjoyment. 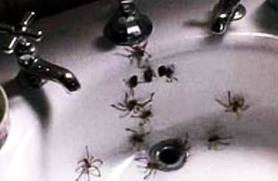 Now there are some that manage to be rather scary and even some of the really lame one’s like “Eight Legged Freaks” and “Spring Break Shark Attack” are still fun to watch on an afternoon with nothing better to do. 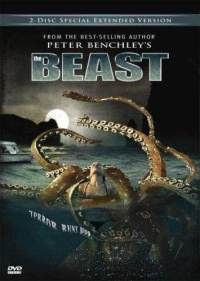 I’ve seen plenty of animal attack films including “Anaconda”, “Piranha 3D”, “Bats”, “Lake Placed” and “Kingdome of the Spiders” but there’s a select few that I thought made for really fun B monster movies all the same (and maybe a bit scary). 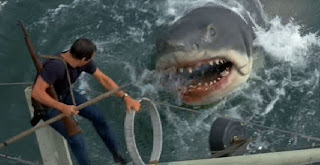 So from the Sharks that terrorize our seas to the Spiders that invade our own homes, these are my top ten favorite Animal Attack movies. With a title like that, you probably would think this movie has something to do with haunted houses or cursed people as opposed to an unstoppable killer lion. Well the plot goes like this, “Val Kilmer” is hired to take out an angry lion that’s preventing locals in Africa from completing the construction of a bridge. Well, he succeeds, but soon after, another lion begins to attack the villagers. However, this is a far more aggressive lion that attacks like a demon and is really hard to kill. 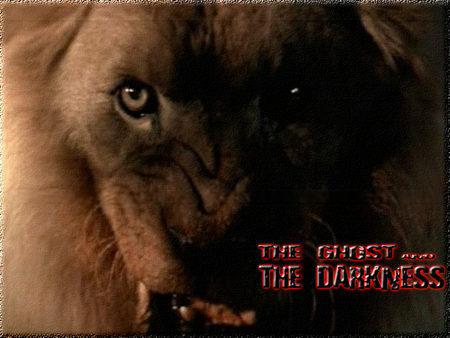 Is it the ghost of the first lion or is it the brethren of the first out for revenge. 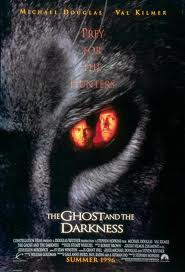 Either way, “The Ghost in the Darkness”, may not be a very memorable creature feature but it is original (actually it's based on a true story), has a decent score by Jerry Goldsmith and it still manages to be a worthwhile film. Peter Benchley is an American author who wrote a lot of story’s about the dangers that lye in the ocean. 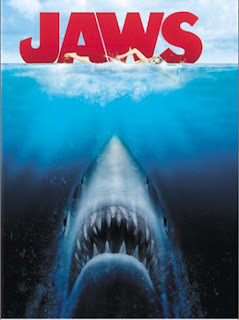 Most of his novels were adapted into films including “The Island”, “The Deep”, “Peter Benchley’s Creature”, “Orca” and the most famous of all of them being “Jaws”. Well, “The Best” is one of his better adapted stories into film and one of the more competent animal attack movies. 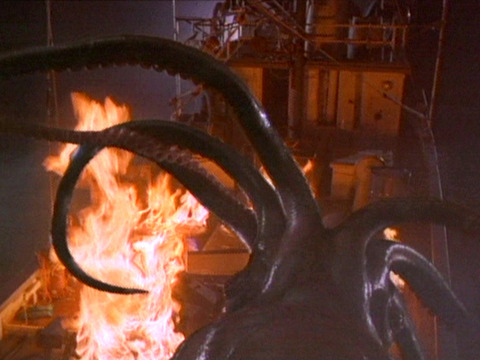 The plot revolves around a giant squid that’s plagueing an ocean harbor and a group of people who are determined to hunt it down and kill it. The Squid effects are pretty cool (for the most part) and the characters are nicely developed for this type of genera. There’s a lot of good build up and it doesn’t fall victim to as many predictable clichés. It may be a little long and overshadowed by better monster films but it’s still one of the smarter animal attack movies that the genera has to offer. Of all the animals on the planet, nothing scares me more than spiders, the way they can just sneak into your house without you being aware of it, that's such an eerie feeling. I’ve heard many terrifying stories of neighbors whose kids are severely poisoned by spider bites. 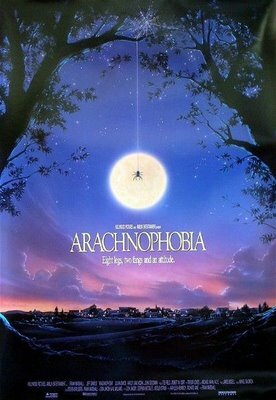 Well, the movie “Arachnophobia” is very self aware of how frightening they are and has fun with the concept of these poisonous creatures sneaking into your house. It has a fun cast including “Jeff Daniels” and “John Goodman” and there are a lot of unintentionally funny moments. As a result, the film succeeds at being both creepy and good, cheese fun. It’s all one big loving tribute to classic creature on the loose movies and for that, it earns a spot on the list. 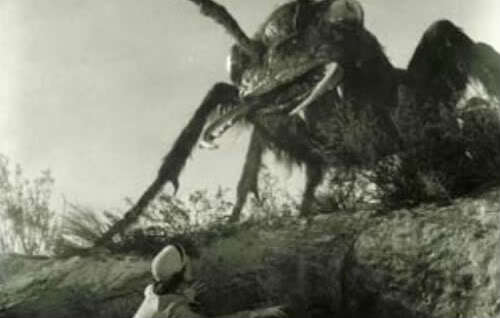 There are lots of fun monster movies from the 50’s atomic age, but the best giant monster movie of the time (by far) is “Them!”. 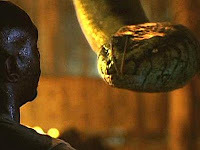 It avoids the self parody feel of other giant monster movies like “Earth vs. The Spider”, the visuals are great (maybe even menacing at times), some good chills, rather strong writing and plenty of B movie charms to win you over. 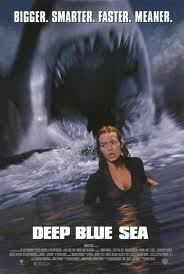 Some may complain that it’s just a cheesy B monster movie but really, what more were you expecting. 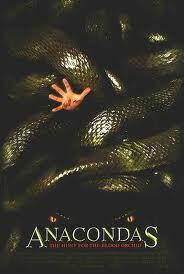 I actually found it to be an improvement over the first “Anaconda” because it felt like there was more of a self awareness to it. I was very young when I first saw it and I found it to be a rather exciting jungle adventure with thousands of giant snakes chasing a group of people. I can see now how cheesy it is but it’s still a rather enjoyable film with some decent characters (especially the computer geek named Cole), some rather nice scenery that subjects you to the harsh jungle environment, some elements were a little creepy (most notably that spider) the climax was good and some of the music was fun. If a simple animal attack movie is what you want, then that’s what this film offers. 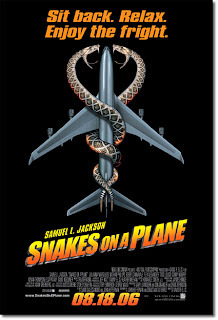 Now here’s a fun, cheesy flick. This film has an awesome premise that has no limits, it’s wild and free to do whatever it wants. 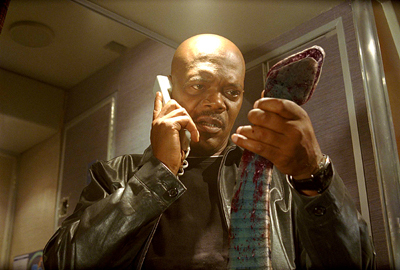 The result is a film with fun characters, good visuals, nifty action, the always fantastic Samuel L. Jackson (who’s at the top of his game), a fun sense of hummer and a big plain full of snakes. It may not be that scary and is far from perfect but it really doesn’t need to be. If you’re in the proper mind set, this can be a really entertaining film. All in all, it’s solid, B movie entertainment. 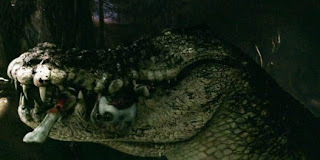 When it comes to movies about killer crocodiles, their rarely good. 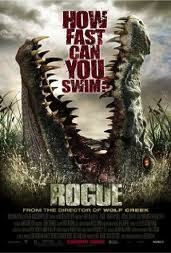 But “Rogue” is a rare, good animal attack movie with a very talented cast of basically un-known actors. The characters hold your attention, the crocodile effects are surprisingly good and there are some rather suspenseful, on the edge of your seat moments. This is also an amazing looking film, with lots of colorful locations, beautiful wildlife and some breathtaking cinematography. Overall, there was a lot of effort put into this film to make it a better than average animal attack film, and for the most part, it succeeds. 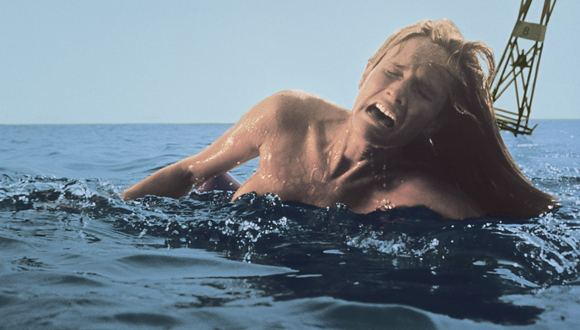 Of cores I had to have the classic blockbuster about a killer shark, and to this day it’s still regarded as one of the greatest Horror films (or just films) in cinema. It may be a standard monster movie but it’s done so well, with great characters that you care for, a terrific slow build up, some strong writing, a classic theme, some really frightening shock moments and a fascinating climax that’s still just as exciting every time I watch it. 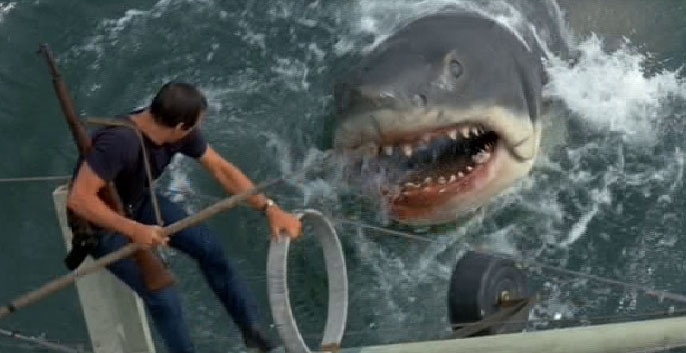 “Jaws” may be the most competent and memorable film on the list but there’s still two others that I thought were a little more fun. The Key to any great horror movie is build up and that’s the strength that this film caries. 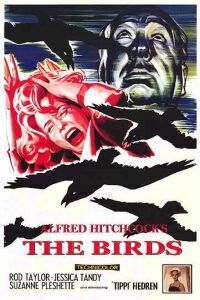 Alfred Hitchcock’s brilliant direction and style made animals as simple and common as birds terrifying and the movie dose a damn good job of bringing on the terror from these every day creatures. It may seem a little hard at first to sit through so many boring scenes (especially in the opening) of just people talking but its all necessary to make the second half of the film so exciting. One great strength to this film is all the mystery, were never given any clear answers as to why these animals are behaving so viciously. 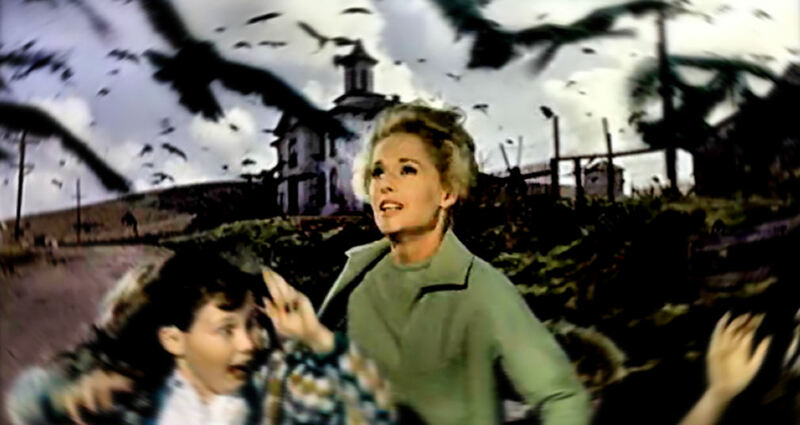 Is it a plague, does it have something to do with these two caged love birds, is there a master mind behind it or is it just the early stages to the end of the world, it’s never explained and that’s why it remains to be such a griping and exciting film, full of terrific visuals, strong build up and intense action. This is a fun, fun movie that plays perfectly to audience expectations and gives a few surprises and chills along the way. The plots almost like a mix of “Jurassic Park”, “Poseidon” and “Jaws”. We don’t have mindless sharks attacking people on beaches, instead we follow a group of people who are trapped in an underwater, science base that’s flooding. But escaping isn’t the only thing the group needs to accomplish, they also need to find a way to kill 4 super intelligent tiger sharks that are trying to escape into the ocean and are picking the team off one at a time. The characters are all great, especially this awesome black cook who kills a shark by saying “You ate my Bird!” Then there’s Samuel L. Jackson, who gets the funniest “Oh shoot, I didn’t that coming” death sequence ever. 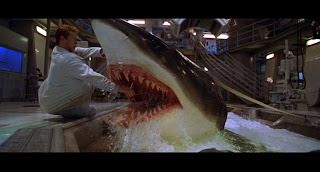 We have girls striping half naked, the base offers many cool locations for an action sequence, the sharks are pretty menacing and we have some outstanding twists to some old, monster movie clichés. For example, this movie doesn’t end with both the lead boy and lead girl living. Instead the lead girl dies and the awesome, supporting black guy survives. If I was flipping through channels on some afternoon with nothing to do and I came across this film, I would definitely put that remote down to finish it.